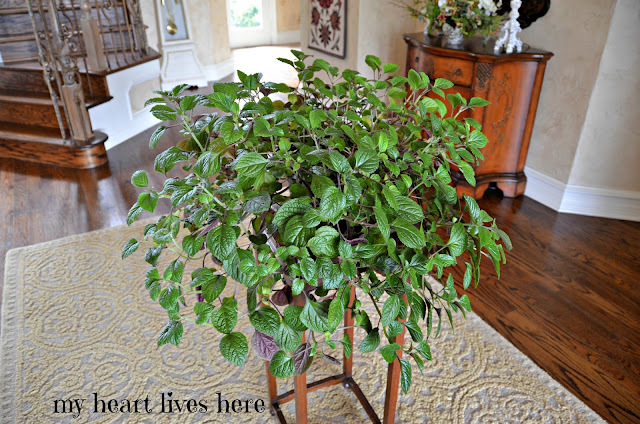 I am giving a favorite house plant a little TLC today. It is a Purple Swedish Ivy. It's regular home in the corner is a little dark, so it is getting a bit straggly looking. In addition to moving it to a brighter spot for a while, I am feeding it with time release fertilizer, and giving it a trim. 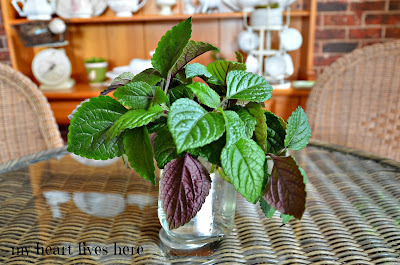 Here are some of the cuttings in a jar of water in the sun room. Free plant equals happy me. Soon they will root and I will plant them in soil. In the mean time, I have placed the jar into a toile planter. 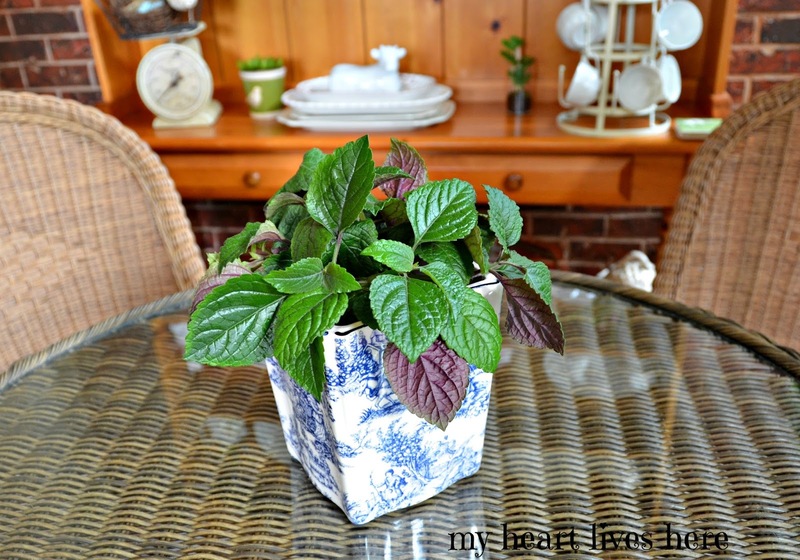 Instant gratification - my kind of gardening! Love free plants, also! And love the blue and white toile planter. It looks like one my mom gave me for Christmas a couple of years ago.